New Melones Reservoir's current lake level is 1054.80 and 33.20 ft. from full, down from the high level of 1057.05 10 days ago. Current water temperature is approximately 55-58 degrees. The Tuttletown upper ramp is operational as well as the Glory Hole Point side of the lake which has the high ramp working. Angels Cove ramp is also in use. 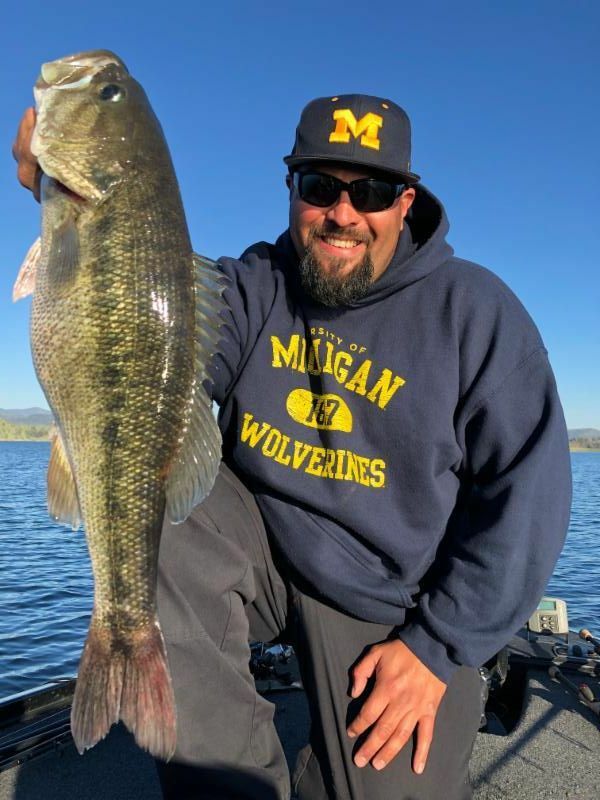 This month the largest tournament of the year for New Melones will be held March 29, 30, 31, when the Wild West Bass Trail comes to town, bringing a full field of 150 boats, 300 anglers, family and friends. They will be launching from Glory Hole Point. Locally this event positively impacts businesses in Angels Camp, Murphys, Jamestown, and Sonora with their presence in the area. 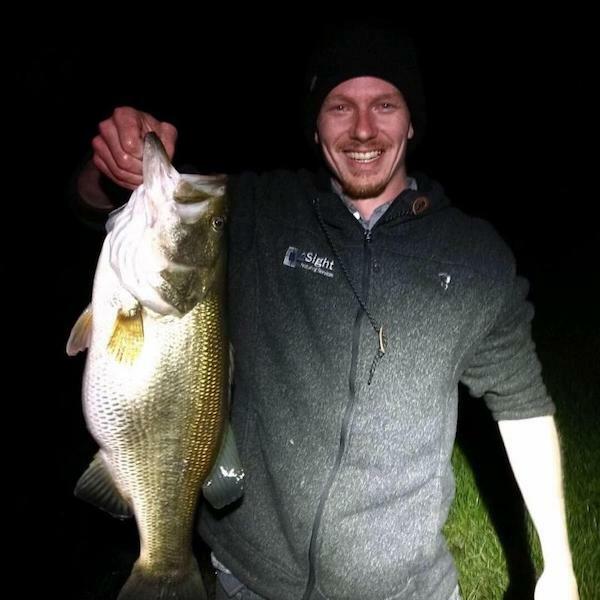 Give em a friendly hello and wish them good luck, the lake has been producing some awesome bass in the 10-12.5 lb. range, so we are counting on our beautiful beloved New Melones to not disappoint these anglers at the end of the month. Trout bite has been good some days and off others, but producing some quality fish when they show. 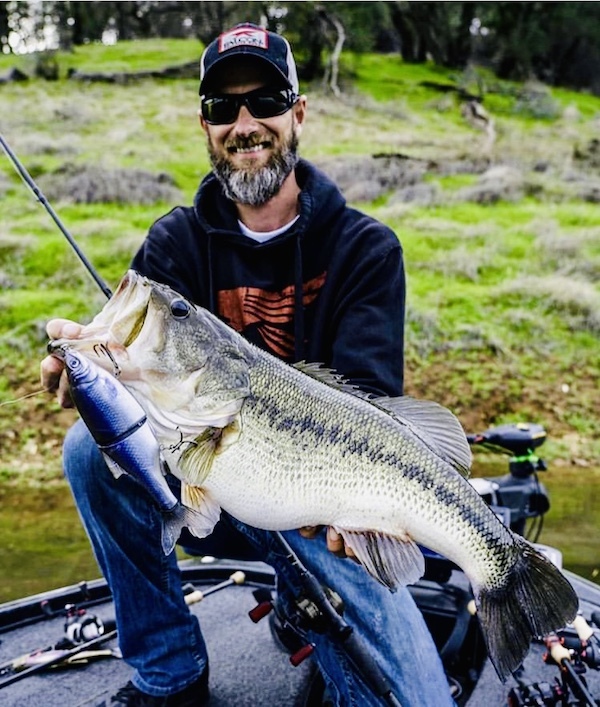 Scott McCarthy of Sonora was trolling the spillway on Melones using an excel lure at 35' deep. Kokanee season may have gotten off to an early start, Kevin Ogg of Paulina Peak tackle was on Melones and landed two (2) Kokanee, one 12" and one 13.5", of course using Paulina Peak Tackle trolling 20-40 ft. depth. 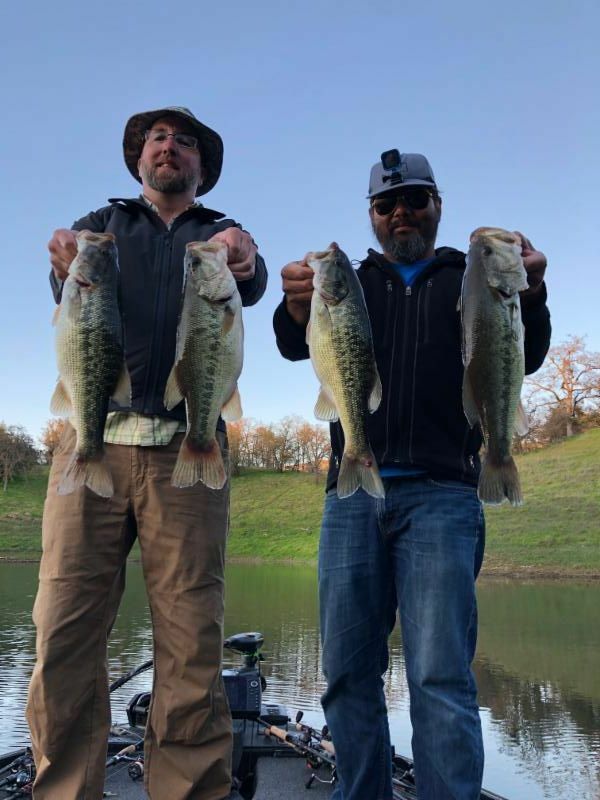 Swimbaits still seem to be winning tournaments, so if your out for that one hog to slam your bait, it may be the way to go for you. We have Huddleston Baits, and Mattlures in stock. Whatever plastic your fishing with, watermelon red, green pumpkin/red flake seems to be working well. Edwin Broglio of Angels Camp was angling at night when the lake began to come alive with fish jumping and the sound of fish landing in the water. 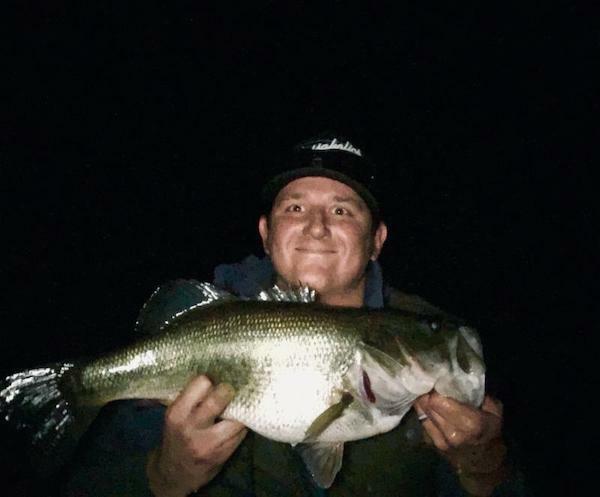 Edwin first thought he may have hooked up to maybe 4 or 5 pounder, but the fight intensified, ending up bringing in this nice 9 lb. 24" bass. No reports of catfish being caught. Spring is in the air, air and water temps are on the rise. Water temps have been reaching 60 degrees and clarity is improving day by day. Although it's very early and we have a bit of cooler weather on the way the fishing should really heat up. During the next week of weather the fish will be moving shallow and starting to feeding up before they hit beds. There are a few already on beds and more will continue to show up so long as water temps don't fall to much. With the spawn under way the bite can be day to day, one day being absolutely amazing, fish eating everything and the next, the fish seeming to be sluggish and unwilling to bite. My go to baits this time of year vary widely! I'll typically start with reaction, crank baits, top water, blades, Swimbaits and rip baits.